Innovative ideas, an honest, open minded and tech savvy yet supportive team, providing cost effective solutions, delivered on time, mark us out as industry leaders. Modern communication tools and the Internet have reduced the need for software development partners to be geographically close. Indeed, software development is increasingly being divided into parts, created in multiple centers around the globe, and brought back together for integration and testing. The accumulated intellectual capital that outsourced service providers have acquired over the years, offers an increasingly quality-driven value proposition. This has put paid to the debate on whether to outsource or not. Outsourcing is here to stay. The benefits are just too hard to ignore. In today’s global marketplace, those benefits translate into a coveted competitive edge that allows companies to get a foot in the door. Outsourcing obviates the need for large initial expenditure on IT infrastructure, converts fixed costs into variable costs, and releases capital for investment into revenue-generating activities rather than on IT assets, making businesses more attractive to investors. Outsourcing helps contain costs and risks, and allows IT investments to grow in a more linear fashion. Companies bent on meeting all their IT requirements in-house incur higher expenditure on research and development which eventually must devolve on to customers – and that could very well put them out of the competition. 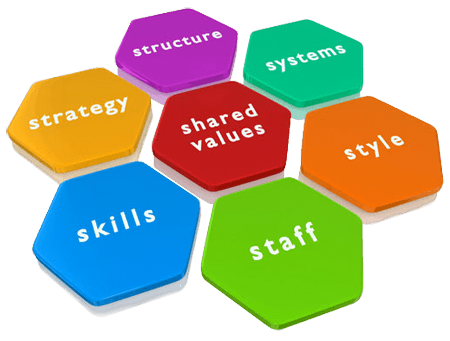 A good outsourcing firm will have a resource pool with cross platform expertise and depth of experience to start a project right away. Trying to do it in-house could involve hiring and training people, and providing the support they need, all of which will cost time and money. Small firms usually cannot afford the in-house support services that larger companies maintain. By giving them access to the same economies of scale, efficiency and expertise that large companies enjoy, outsourcing helps small firms think and act “big”. Outsourcing helps avoid staff redundancy during slack periods while providing a resource buffer to fall back on when requirements peak. Moreover, outsourced service providers often have a higher level of experience and expertise than what most organizations can afford in a full-time employee. Outsourcing allows firms to leverage that experience and expertise at a fraction of the cost. Outsourced service providers make great sounding boards. Most good service providers have been around long enough to know what’s been tried, what works, and what doesn’t. Being more distanced from a project than the principal stakeholders, they can look at it more objectively, and offer a fresh perspective on what solution will work. Good service providers follow disciplined methodologies and processes. By associating with such service providers companies benefit from continual knowledge transfer and imbibe best practices that help them move up the maturity ladder and the value chain. 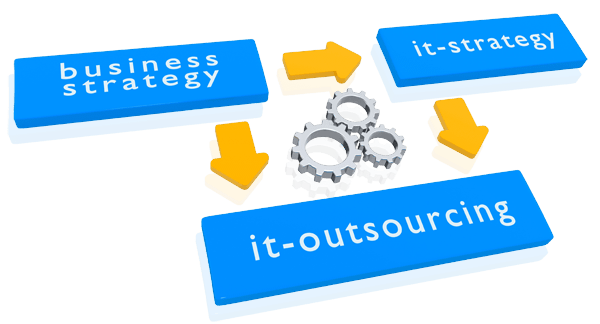 Lastly, outsourcing helps businesses to focus on their core competencies, improve service level, reduce cost, migrate to new technology and gain process knowledge without exhausting their financial resources. Citrus Informatics brings all these advantages and more to its clients. We bring proven skills in project management, commitment to continuous process improvement, flexibility in engagement models, and an organizational ‘chemistry’ that makes each completed engagement the reason to start a new one. We continually inculcate a culture of innovation in system design and integration, software application development, infrastructure support and management consulting. The solutions that we design are as varied as the challenges that our clients seek to address. Whatever be the specific service offering that we deliver to a client, we strive to tailor every component of the solution we provide to meet the unique requirements of the client and to maximize their return on investment. Our engineers are quick to embrace new technologies and to understand their nuances, and continually stay abreast of evolving innovations, enabling us to incorporate cutting-edge ideas and powerful new technologies in the solutions that we deliver. We strongly advocate sharing our knowledge and passing on our expertise to our clients rather than merely rendering a specific service. Through this learning dissemination process we encourage them to eventually be independent of us, which is something few other companies would even dare to contemplate. The quality of our people sets us apart. We subscribe to an HR policy that helps us to recruit and retain the best-of-breed professionals, and hence have a pool of smart, skilled, efficient and committed programmers, designers, project mangers and account executives who will see every project through to successful completion. We strive to continually improve our development methodologies, engineering practices, management techniques and quality standards to ensure greater customer satisfaction. Our deep domain experience enables us to easily understand our customer's business needs. Our technical capabilities enable us to deliver integrated, scalable and robust solutions at optimal cost/performance ratio. Our customer oriented approach ensures that the technology solutions that we provide to our clients add real value to their business. Citrus Informatics adheres to high quality standards and religiously abides by delivery schedules. We uphold business ethics and ensure clients get what they paid for. We honor intellectual property rights and hand over all source code on completion of a project if so stipulated in the Service Level Agreement. We believe in establishing lasting relationships with our clients, and ensure they have a better experience outsourcing work to us. A well planned and architected design requires a well chosen technology to complement the solution. For a business organization, choosing the right technology at the right time is crucial to gain a competitive edge in the market. Choosing a technology that aligns with the organization’s business objective requires a deep understanding of the product market and technologies that best serve the latest trends in the market. Mobile communications, social media and cloud computing are dramatically changing the way customers interact with each other to share and collaborate thereby leading to an increasing demand for web and mobile applications. Our experience combined with the knowledge of the market place trends and latest technologies helps us to deliver robust solutions that will help organizations achieve their strategic objectives in addition to positioning themselves better in the market place. Our teams of talented and dedicated professionals have been delivering high quality IT services within time and on budget. 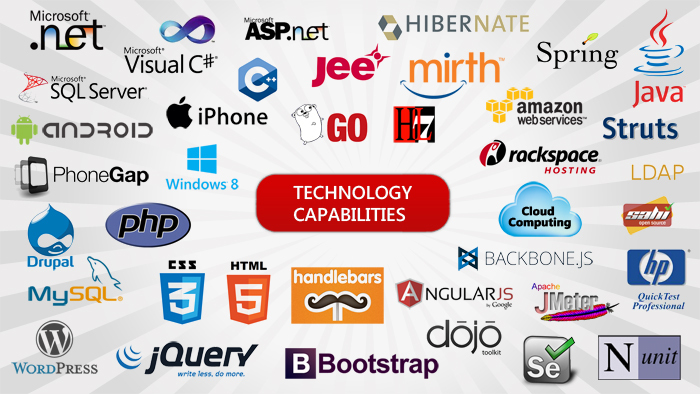 Our team’s expertise ranges from creating web applications to creating desktop and mobile applications as well. With our capabilities of database design and development, we provide end to end solutions as well. Our expertise in a variety of platforms from windows to androids and iPhones allows us to create innovative products with creative thinking and leveraging new technologies. With skills honed over the years and a deep understanding of the best technologies available, we provide organizations a huge knowledgebase of resources to tap into.